Joining owner driver, Jon King, for his 2nd full season in Fun Cup, will be twin brothers Chris and Edward Bridle. “We are both extremely happy to be back in Fun Cup UK with Team7 and Jon. We are extremely excited about what the new season will bring after the success we had in 2018. We are very happy to be with Jon in 2019, as he showed great potential in his first year of car racing and I’m sure it will be a great season” says Edward. 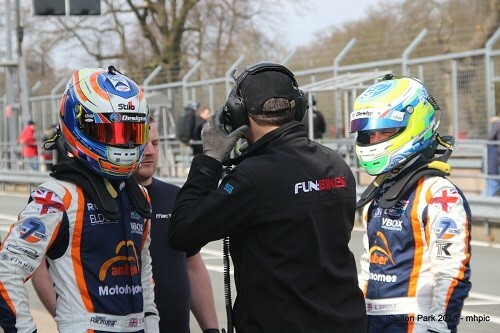 This will be Chris and Edwards 3rd full season in the Fun Cup UK Championship, with Team7Racing. Team Manager, Kate Shepherd, said: “It’s really great to have the majority of the team back together for another exciting season in Fun Cup. Chris and Ed did so brilliantly last season – I think they have made a wise decision joining Jon for this season, as it could be good for them all”.